Soon, the sprawling 800,000-acre Big Bend National Park will have a new superintendent to guide it and oversee new projects. 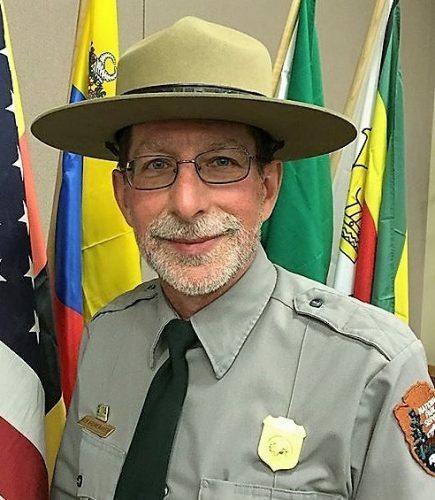 Beginning next week that role will be filled by Bob Krumenaker, a veteran of the of the National Park system. 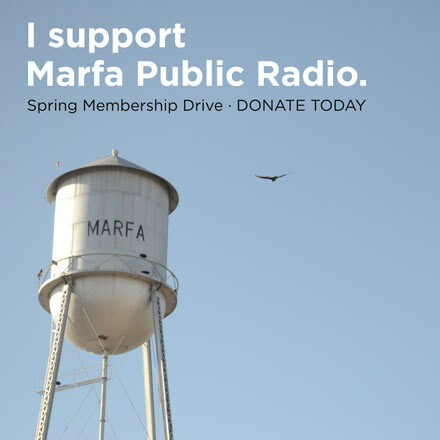 Krumenaker spoke with Marfa Public Radio about the challenges of leading such a massive national park and some ideas he has for its future. editor’s note: This interview has been shortened for brevity and clarity. Marfa Public Radio: Bob, your new role at Big Bend National Park, it’s going to be a little bit of a Texas homecoming for you right? Robert “Bob” Krumenaker: It is. I don’t have the least bit of a Texas accent but I started my National Park career over a Big Thicket National Preserve over in Beaumont a long time ago and I learned to love Texas and Texas food and Texas people, so yeah it’s going to be fun to come back. MPR: Does the sheer size of Big Bend National Park bring some new challenges for you? BK: It sure does. I actually did a little calculation. Big Band is 11 and a half times larger than the Apostle Islands National Lakeshore and similar to Big Thicket [National Park]. But I’ve worked in some big places. I worked in Everglades National Park and Grand Canyon, both of which are larger than Big Bend so it’s not the first time I’ve worked in big landscapes. But they are challenging and of course we have you know far fewer people per acre in the big parks and so it’s challenging to manage them it’s challenging to deal with all the people. MPR: There’s a backlog of more than $11 billion worth of deferred maintenance throughout the National Park system. But when you look at the numbers for Big Bend there’s nothing there. So if the park isn’t behind in that respect, what do you imagine would needs to be worked on? BK: Well, I was just looking that up actually before the interview and at least where I was looking, on an internal NPS site, it says that Big Bend has a $100 million backlog maintenance. But I know there are many, many infrastructure issues in the park. Every park I’ve ever worked in that’s an incredible challenge. There simply isn’t enough money in any national park to maintain the infrastructure that we’ve got. MPR: The park is currently entering in the final stage of an exotic species management plan. This is intended to help preserve the park and its natural resources. But how might the park work to preserve the human history of the region? BK: Well, that’s really important and I’ll be honest what I’m about to say is more theoretical because I’ve not yet dived into that issue nor talked to anyone on park staff about what the specific challenges that Big Bend faces are. But even in a park as completely different as Apostle Islands National Lakeshore, one of the things that I’ve come to realize in 16 years here is that you can’t tell the story of this landscape without also telling the story of the people who’ve been challenged by the landscape. The good news in the Big Bend areas is in a drier climate things don’t degrade as fast so we might actually have more chance of preserving some of the older structures. But it’s a challenge. I don’t have any specific knowledge right now as to where the park is, what priorities are, how successful it has been so far. But clearly it’s something I’m going to need to find out and I’ve got a real strong interest in it. MPR: We just had a hiker who recently went missing for a couple of days in the park. They were eventually found safe, but there are occasions when people in the park get lost, potentially get hurt and die. When it comes to safety for visitors what do you imagine can be done to improve the efforts that the park is already taking? BK: Well, once again I can’t speak with any specific knowledge of what those efforts are but I know in every National Park the issue you’ve just defined is one that really challenges us and it’s something that Park Rangers care deeply about, because we want to make the park available for people to have recreation but we also want them to come back a second time. So a lot of it comes down to education and we work hard on our websites and the information staff provides. But a lot of people, particularly in a park like Big Ben where you know there’s vast distances, they don’t necessarily encounter the Park Service before they actually start enjoying their visit. So working with partners working with other folks who care about the park to get messages out, that’s important. But I also think we have to be realistic and recognize that it is impossible for the National Park Service to prevent every accident and to keep everyone safe. People who go off road and off trail in a wild place or a wilderness area, I hope understand the risks that they are taking. We want to help them do all those things, but then once they get out there, to a large extent they have to absorb that risk too. And we’ll do everything we reasonably can. But I think we have to understand that nature is a wild place and that’s one of the reasons we love it, but sometimes it can bite back. This entry was posted in KRTS News and tagged BBNP, Big Bend National Park, Bob Krumenaker. Bookmark the permalink.